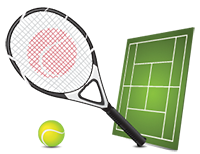 TLGTA would like to invite you to Summer Social Tennis (SST) this Friday @ The Thorncliffe Park Tennis Club (TPTC). Join us all summer long for Tennis Fridays. Registration is not required, but you must be a current TLGTA member.